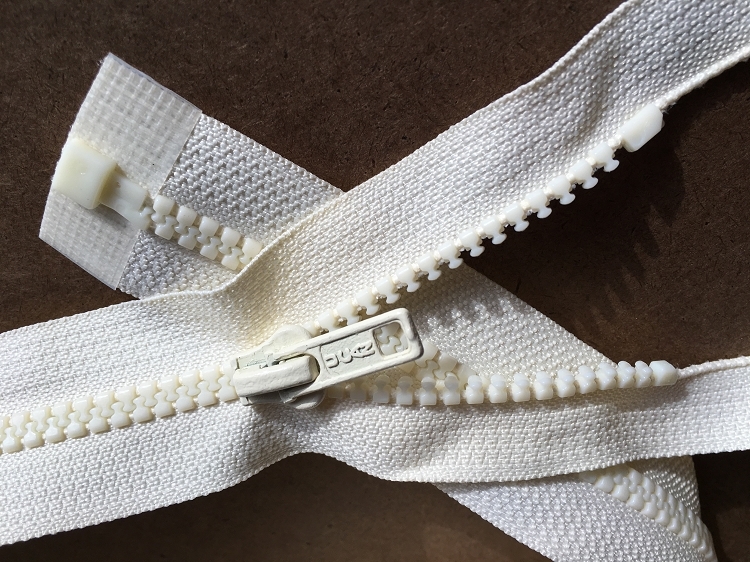 These zippers are great for a bunch of projects: bedding on a boat or Airstream, doorways, indoor tents for kids. A few years ago, my workroom made a gazzillion bedskirts for a hotel. The bedskirts weren't staying on the beds, the maids were having trouble changing the king bedskirts, etc. So I came up with the idea to zip the bedskirt onto a fitted sheet that then fit snuggly over the box springs. And it WORKED! These are the zippers! They have been pulled when the bedskirt was sucked into the vacuum, washed way too many times to count, put in really hot dryers & generally abused. I've only had a couple come back to me but I think they actually got caught in the washer or dryer because the pull was ripped off.